Have oily skin? Then mousse foundation is a really good option for you if you seeking light-feather coveragea and without being greasy/oily. Does Essence Soft Touch Mousse Makeup lives upto its claim? Lets find out. The Essence Soft Touch Mousse Makeup's super delicate mousse texture gives your face a smooth and natural-looking matt complexion while allowing your skin to breath freely. Available in 5 shades. My all time favorite foundation has been MAC Prolong Wear Foundation and Revlon Color Stay as both are full coverage foundation and do feel heavy on my skin. 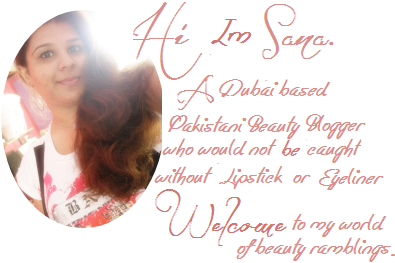 This is the reason why I use them for parties or for a makeup look created for blog. But for daily use I prefer light weight foundation, whether mineral foundation or mousse foundation. I bought Maybelline's most hyped Dream Matte Mousse Foundation which bascially is oil-based product that I can feel it on skin and it was being greasy and broke me out badly. That's why I'm kind of stepped back and bought mineral foundation instead. A while ago, I came across Essence Soft Touch Mousse Makeup which is oily free and sets to a beautiful matte finish with no shine. I got the shade in 01 Matte Sand and looks completely different in the jar but when applied it was not a perfect match for my skin tone but it is just a one or two tone lighter then my actual skin tone by the way I'm NC40 in MAC but thanks a million to its undertone that is yellow so it appears not to white on me and blends well with my yellow/golden undertone and gives me a natural glow without appearing too white or yellow on me. On the other hand if we talk about texture and formula so it is a basic mousse formula that provides light to medium coverage and feels almost weigtless when applied and the texture is really soft and when I'm saying soft , it means FREAKING soft if compared with Maybelline Dream Matte Mousse Foundation. It do conceals some minor spots and blemishes but you do need to apply concealer for flawless look. Since Essence one has a long list of silicones as it is oil-free product it can act as a makeup primer too but I'll not recommend to use it as a primer since it does provide light to medium coverage and definitely you don't want to apply foundation over foundation. If talking about its application so, its pretty easy. It goes on smoothly and turns to a matte powdery finish after application so if you have a dry skin it is not for you. I noticed it tends to be cakey if build way too much but for light to medium coverage its awesome and goes on pretty well and blends smoothly without being cakey but do need to moisturize before hand as it may settle down in expression lines or may high-light dry patches if use in winter or if you have normal/combination skin. For oilies like me it may lasts up to good 3-4 hours having primer underneath and if set it up with powder after that I do noticed it started fading away so I do need to touch it up atleast once. I applied Essence Soft Touch Mousse Makeup with my Duo Fiber brush as it picks just the right amount of product and I never prefer to apply it with finger cause it find it quite un-hygienic by dipping finger again and again in the jar and pick product up. Kabuji and foundation brushes either pick way too much product or too less so they are total fail too. Overall, I'd like to say its a nice product for the price. If you are a beginner or looking for everyday foundation as you are being oily face and prefer no-shine with decent coverage then this is something you need to check out. Essence Soft Touch Mousse Makeup comes with a price tag of PKR590 and available at Imtiaz Super Market, Naheed Super Market, Zam Zam, Vicky's Cosmetics in Karachi. I've got mine from Imtiaz Super Market. Anyone of you tried it yet? What you've to say about it? 11 comments on "Essence Soft Touch Mousse Makeup [Review & Swatches]"
What a fantastic review. This definitely sounds like a really good foundation! I wish I’d look good if I’m going to use this. I have dry to normal skin.